the whole color is just wonderful, alice! the top is veeeerrryyy nice and the pants are out of this world. okay, where's the pin button because i covet!!! Awe, cats on things are so cute. Usually a little too cute. That cat actually looks exactly like my cat. 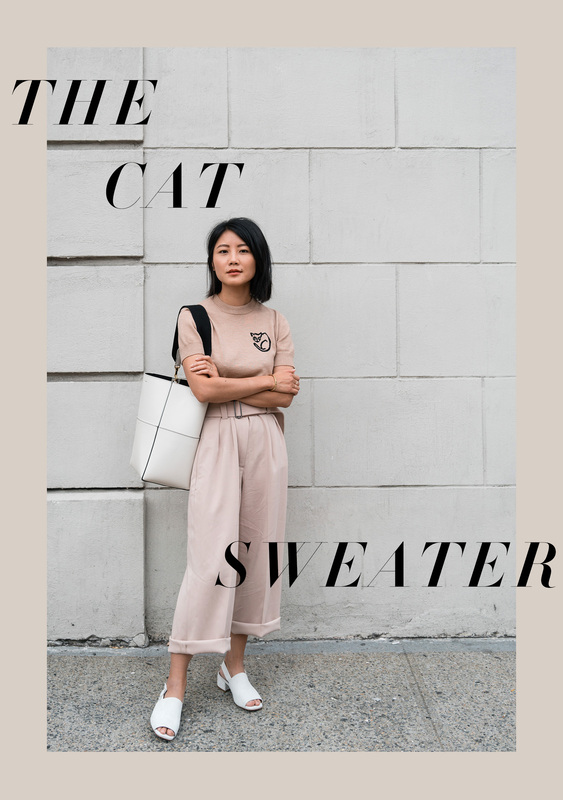 I like the way the color and silhouette keep this cat sweater modern. Love a good old paperbag pants! It goes perfectly with your meow top!! You look cute! "Oof I am such a sucker!" - Tru dat.